The Yucca Plant is an awesome survival resource. A person with no knowledge of wilderness survival would take one look at the menacing plant and would rather stay away from it. There may be a few more uses that have slipped my mind, but this is one desert plant you don't want to be without. 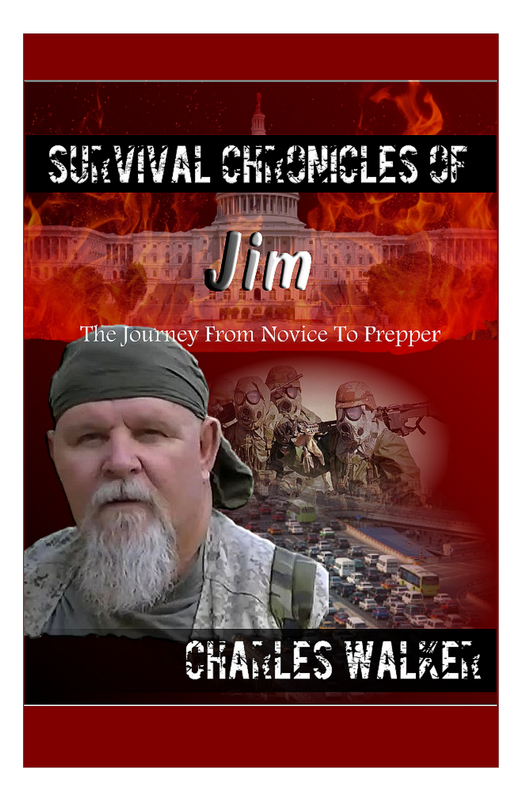 Here is a recap of the video on how to make survival footwear from the leaf of a yucca bush. To start with, you need to obtain 80-90 leaves from the narrow leaf yucca bush. The broad leaf yucca are too large to weave, but can be used for cordage making if you do not have cordage. You may need more or less depending on the size of the person's foot. Make a jig as shown in the video. The vertical leaves should be long enough in the jig so that they are 1 inch longer than the foot. The vertical leaves should be 1 inch wider than your foot to allow for 1/2 inch gap on each side. 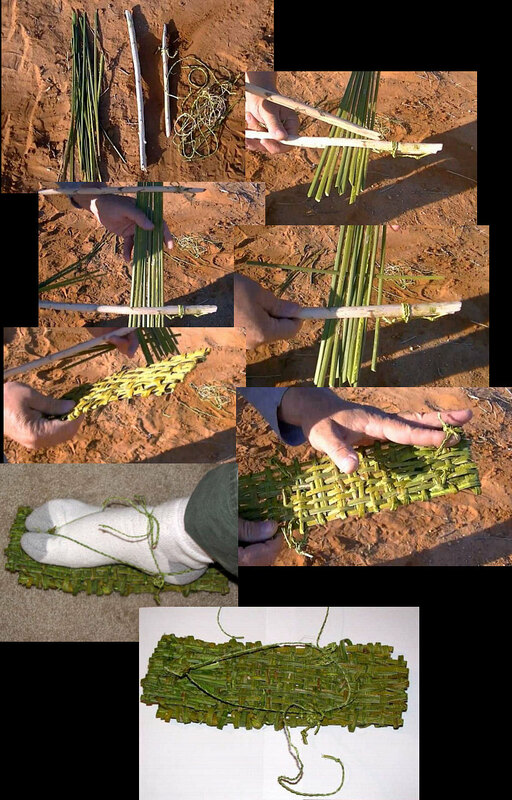 Begin weaving the horizontal leaves until you get five rows completed. Lock these rows in and then use a twig to press each row down toward the heel of the jig. Keep doing these five rows until you have made it to the toe of the jig. The toe and the heel vertical leaves that are sticking out get locked in to each other by going back in a vertical direction just as you locked in the horizontal leaves. You will have to remove the jig in order to lock down the toe and heel parts of the shoe. If there are any gaps in the horizontal rows, you can weave in more rows to make them tighter. You will need to make two pads per shoe as shown in the video. If the shoe is for a small person/child, you should only need one pad per foot. If your travel is mainly through desert sandy terrain, you can probably get by with one pad per foot, but may have to replace the ankle and toe loops as they make wear down from the walking. Add the toe and ankle rings needed for securing the shoes to your feet. You may have some improvements you can add to my design. These shoes should take about 1 1/2 hours to make and this is the fastest design I could think of for making survival shoes. So in the event you need to cover those puppies in a emergency and all you have is the yucca bush, don't hesitate to make a pair. I never would have guessed that the yucca was so handy! Thanks for the info, it could really be a life-saver!